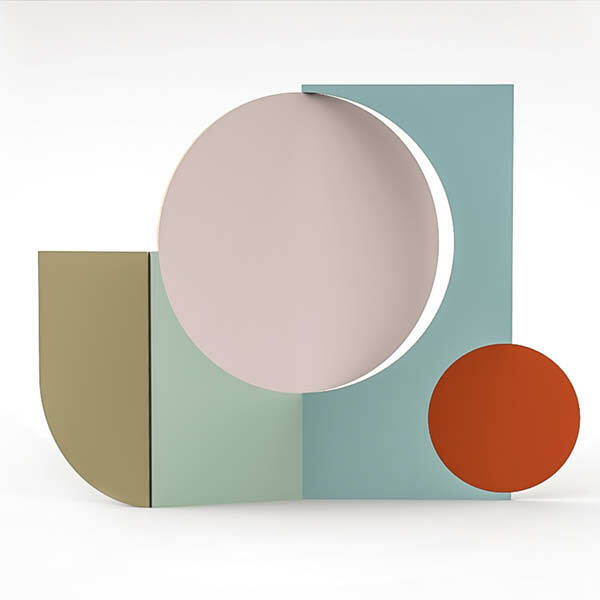 The Berlin folding screen was designed by Colette vermeulen and was launched at the salone del mobile 2019. This screen is the result of a special collaboration between Cartoni and Rademakers Gallery who meet in Milan. Colette represents Rademakers as an artist and Cartoni as a designer. The divider is released by Cartoni in a production version but is also available as an unique piece off art version at the gallery. The contemporary and recognizable design of the divider have a clear signature of Colette Vermeulen. Colette’s workshop is based in Germany, she works as a multidisciplinary artist and designer. In her autonomous work she experiments with collage, print, furniture and textile design.